First Stop For The Traveling Heart-Shaped Rock Project - Part 3! 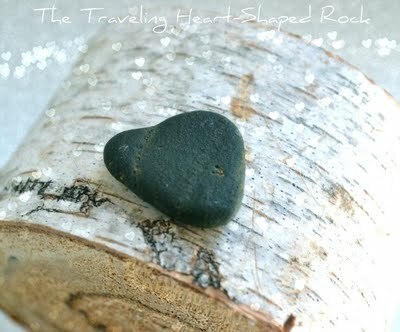 Here we are blog friends, on the road with our Traveling Heart-Shaped Rock, Part 3. Our little "gem" is crossing this wonderful world of ours, stopping at homes and having it's picture taken with bloggers favorite things.